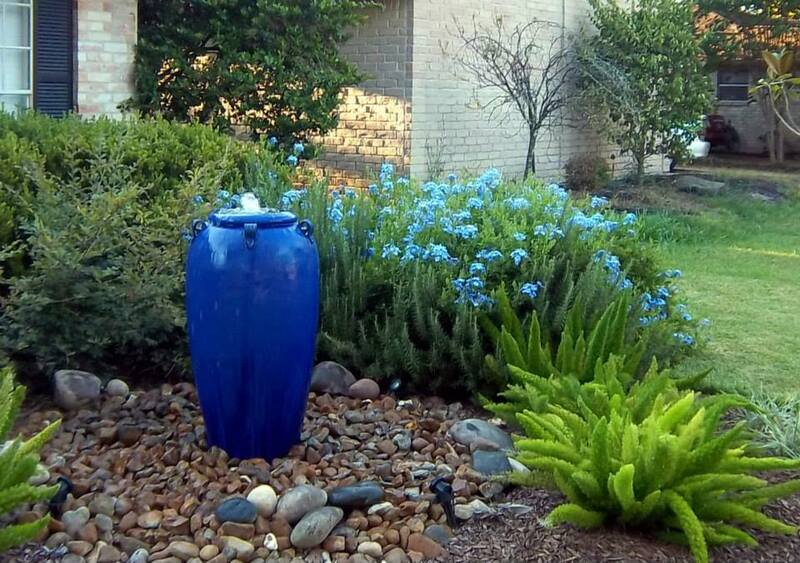 Turn your yard from ordinary to outstanding! 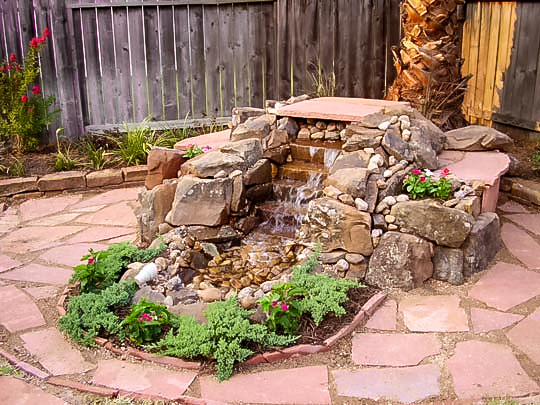 This disappearing water feature with built-in seating provides a gorgeous spot to enjoy the yard, while also being safe and low-maintenance. 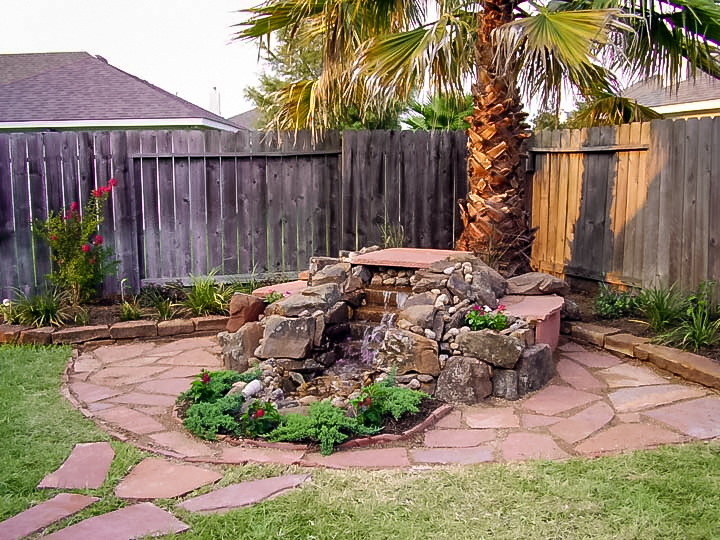 Add a slice of paradise to your own backyard! 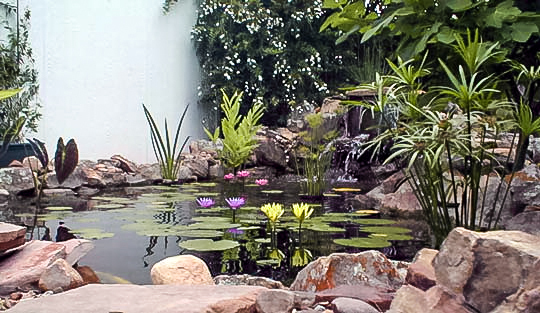 Watch as this open area next to a detached garage is transformed into a vibrant ecosystem full of fish and beautiful flowering plants. 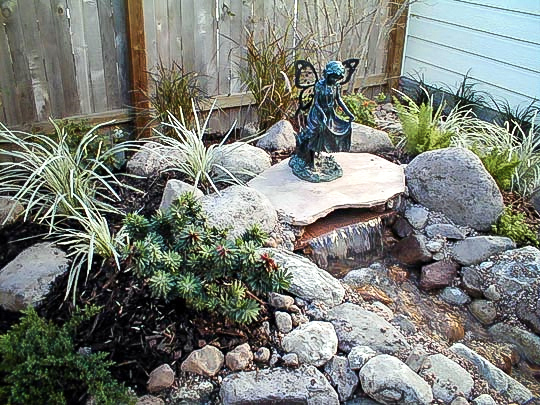 All water features will require at least some maintenance. 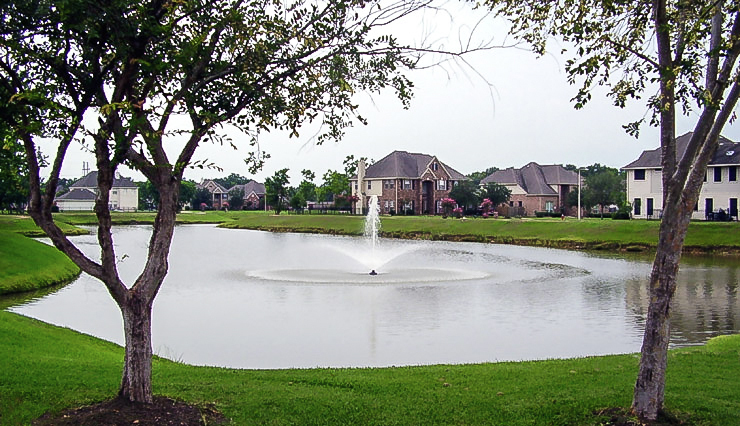 Let us do the dirty work with regular cleanings and upkeep, and we’ll keep your pond gorgeous for years to come. 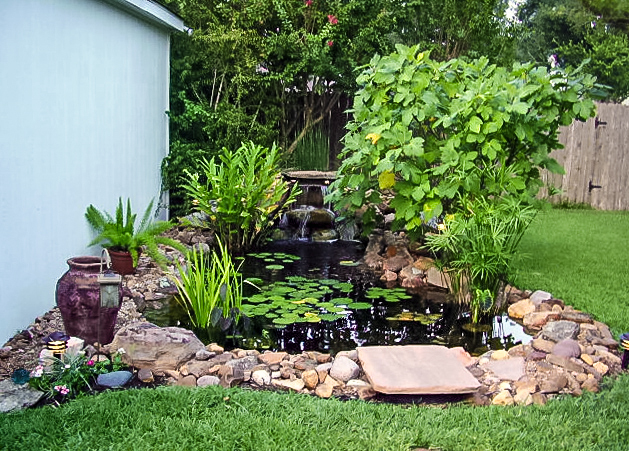 This existing pond was brought back to vibrant life with a little love and a lot of hard work. 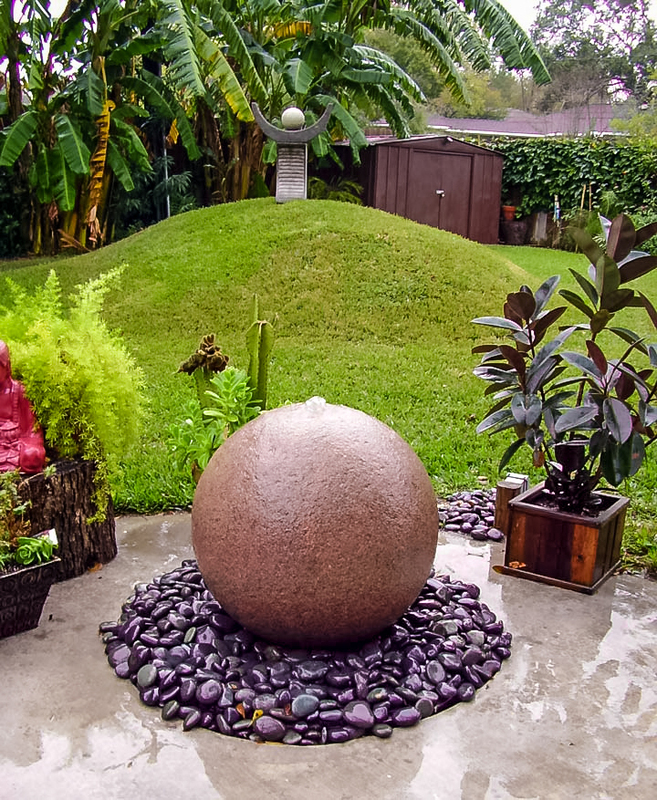 Let us help you find your oasis right in your own backyard. 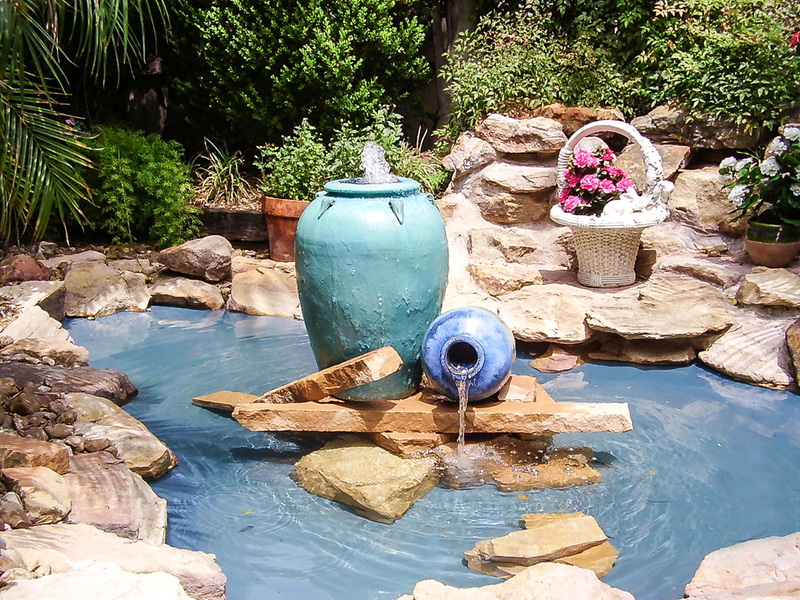 At Coral Bay Waterscapes in Houston, TX, we specialize in the design, installation and maintenance of water gardens, fountains, disappearing water features, koi ponds, and waterfalls for both home and business. 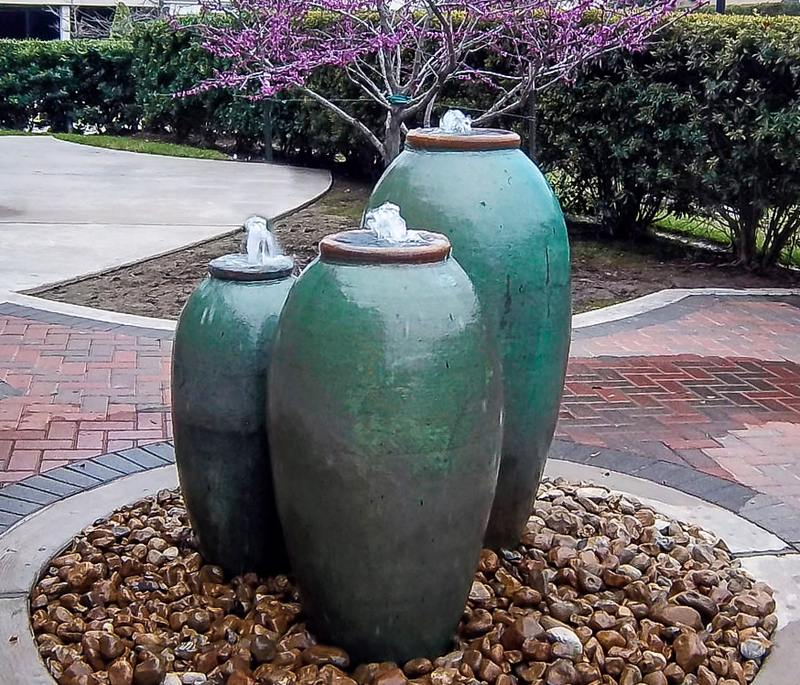 We can also improve, repair, and maintain existing water features, as well as add low-voltage landscape lighting to bring life back into your most treasured garden areas. 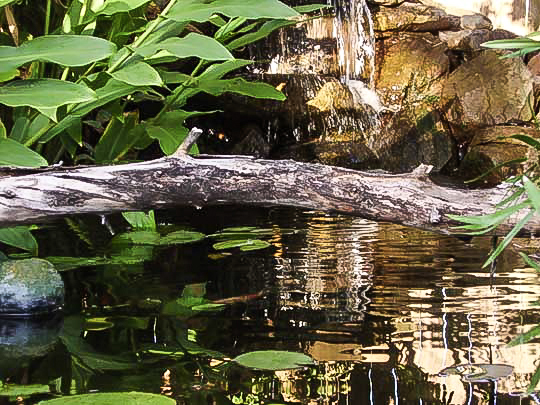 We know that the sight and sound of moving water can create an oasis where you can spend hours letting the stress of the day just float away. Coral Bay Waterscapes is a proud A+ member of the Houston Better Business Bureau. 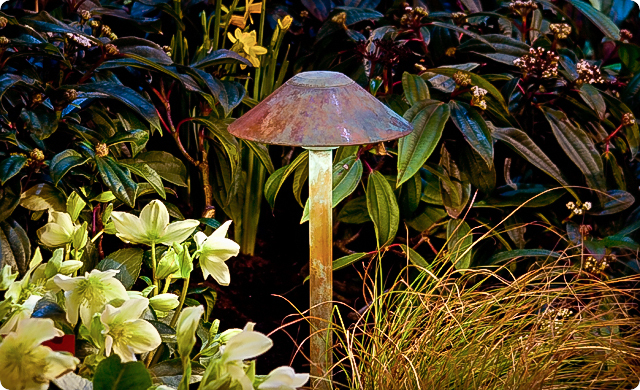 A low voltage lighting system can make your outside world beautiful and inviting for a fraction of the cost of standard lighting. Call us for a free estimate using high quality FX Luminaire low-voltage lighting products. Crossing the threshold into water gardening can be a daunting prospect, but we can make the process easy! Experience harmony with nature in your own space - the Coral Bay way. 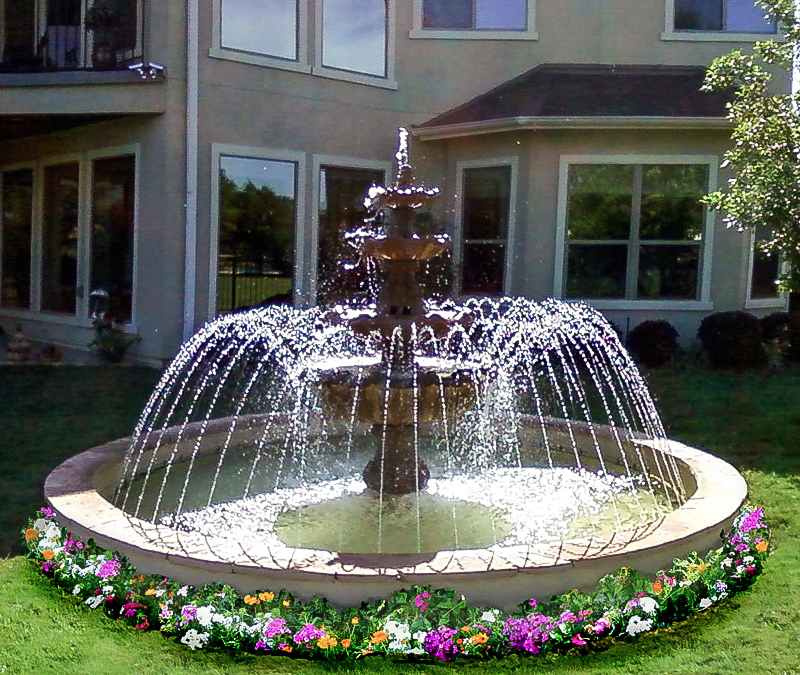 We can turn your dreams into a properly constructed reality, or offer our own ideas to suit your environment. 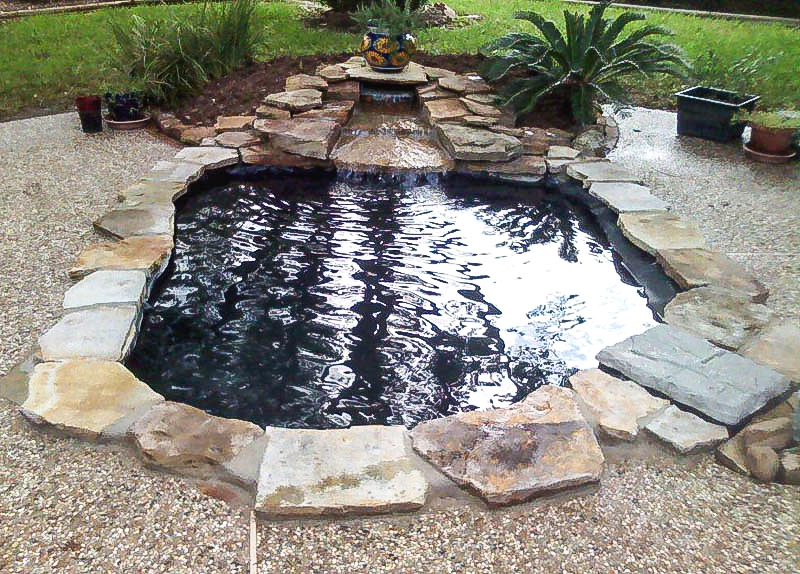 Call us for an estimate at 281-829-3636, or email us at ponds@coralbaywaterscapes.com. Let's talk water! 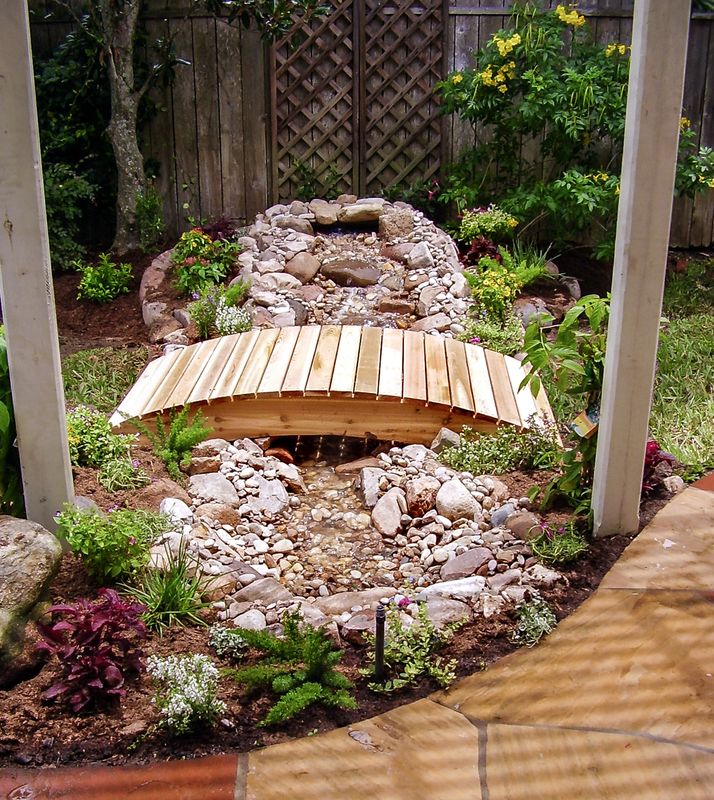 Building a pond or water feature is only the beginning! 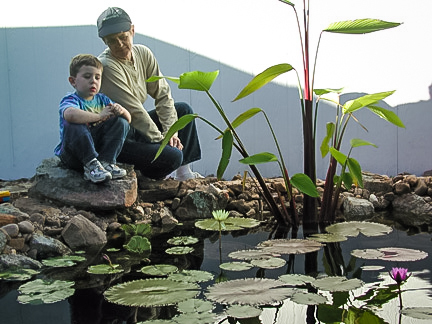 A well-designed pond is a natural, virtually self-sustaining ecosystem in which fish and plants feed each other, exchange oxygen and carbon dioxide, and more - but proper maintenance is crucial to keeping your pond gorgeous and healthy. We know you're busy, so let us do the dirty work for you! We offer repair and recurring maintenance services, based on your specific needs.